Protect your property from tampering and pilfering with security labels, which provide a visual deterrent for entry into trucks, air cargo containers, aircraft, doors, envelopes and a wide variety of containers. Security labels also provide visual evidence of tampering. When removed, our security labels reveal a hidden "VOID" message in the film and leave a similar VOID message (adhesive residue) on the surface. We also offer custom security labels at affordable prices, low minimum order quantities, and fast service. For customized product, please call 888-416-0443 for more info. The Non-residue tamper evident labels only reveal the VOID message in the label and leave no adhesive residue on the applied surface. Secure your aircraft, doors, windows, access panels, plastic surfaces, etc. 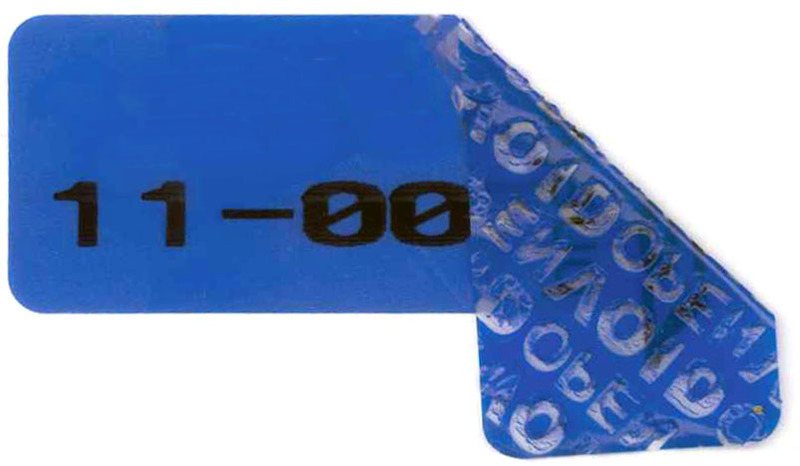 The Residue tamper evident labels reveal the VOID message in the label and leave adhesive residue on the applied surface. Secure your cartons, envelopes, packaging, etc.